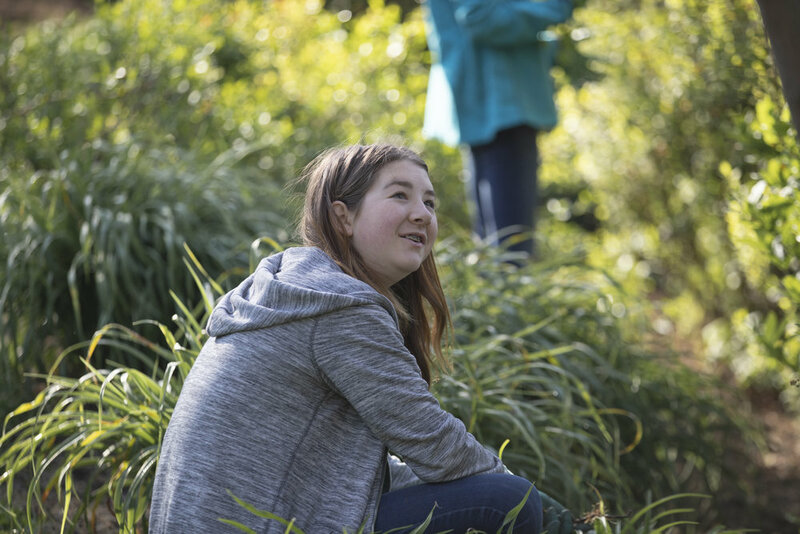 At Biltmore Church’s Serve 828 project on Saturday, April 28, many volunteers worked hard to beautify the grounds around ABCCM’s Medical Ministry, the VRQ, and the Servant Leadership Center. A group of volunteers also spent time organizing clothing that had been donated to ABCCM. At the VRQ, around 45 volunteers worked on the landscaping around the building, putting down mulch and weeding. Their biggest task of the day, however, was to lay a new path that stretches throughout the VRQ courtyard. The path that they made is constructed out of smooth stones tiles that will make it easier for Veterans with canes or walkers to traverse the area. At the Doctors’ Medical Clinic, volunteers also worked on the landscaping, pulling weeds and adding mulch to flower beds. They also cleaned out the gutters and raked the yard in front of the clinic. 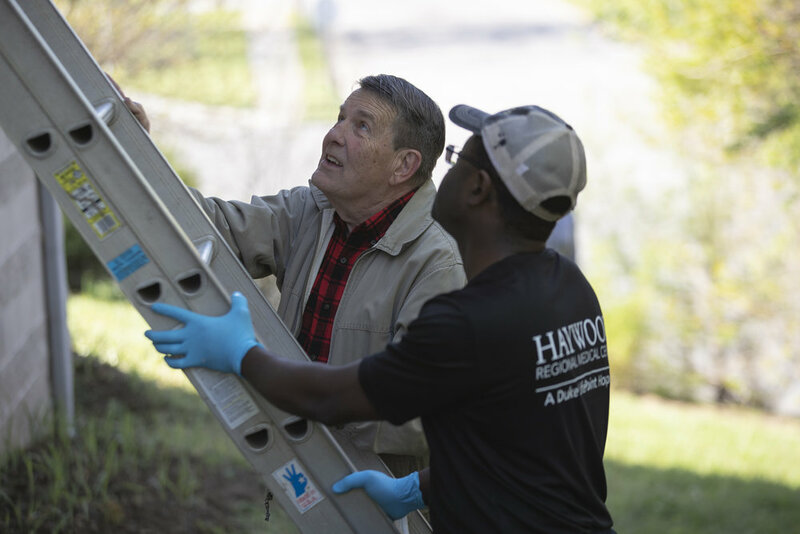 ABCCM was not the only ministry to benefit from Serve 828, however – over 1,100 Biltmore Church volunteers put in over 4,400 man hours across 45 projects throughout Buncombe, Franklin, and Henderson counties. This effort was not only a blessing to ABCCM, but our community overall, and Biltmore Church will be putting an emphasis on building relationships in the community as they go back to the sites they served in order to connect with people there and bless them in other ways. Thanks to volunteers like those from Biltmore Church, the ABCCM ministries look clean and welcoming for all the clients and residents we serve. Thank you to all those who aided in the spring cleaning that makes such a difference in the work of ABCCM!